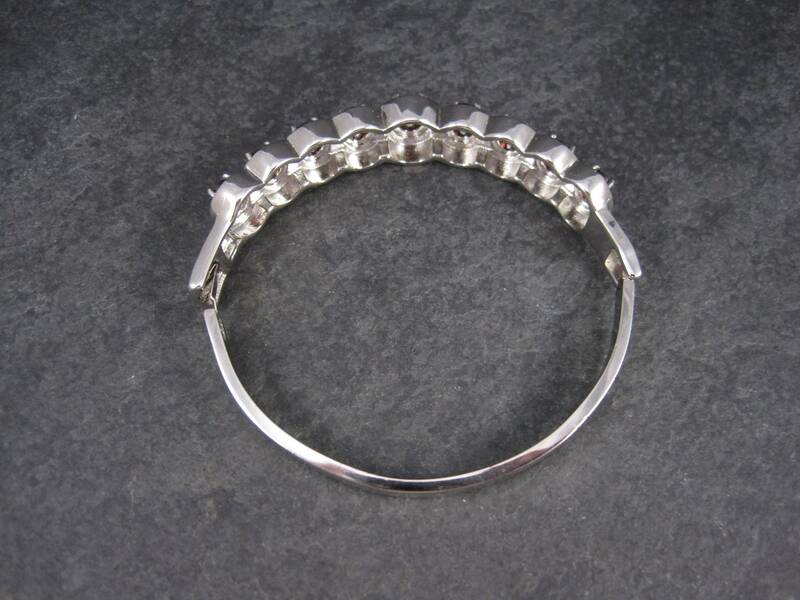 This beautiful bangle bracelet is stainless steel. 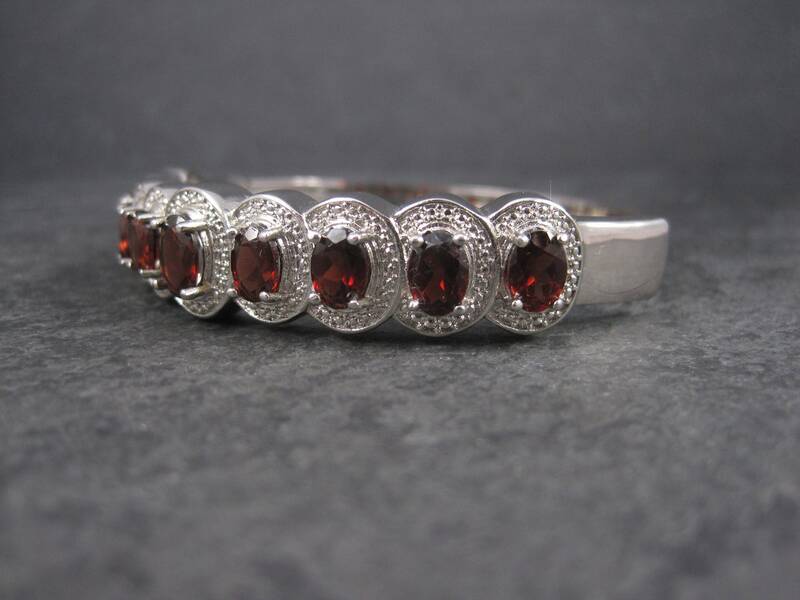 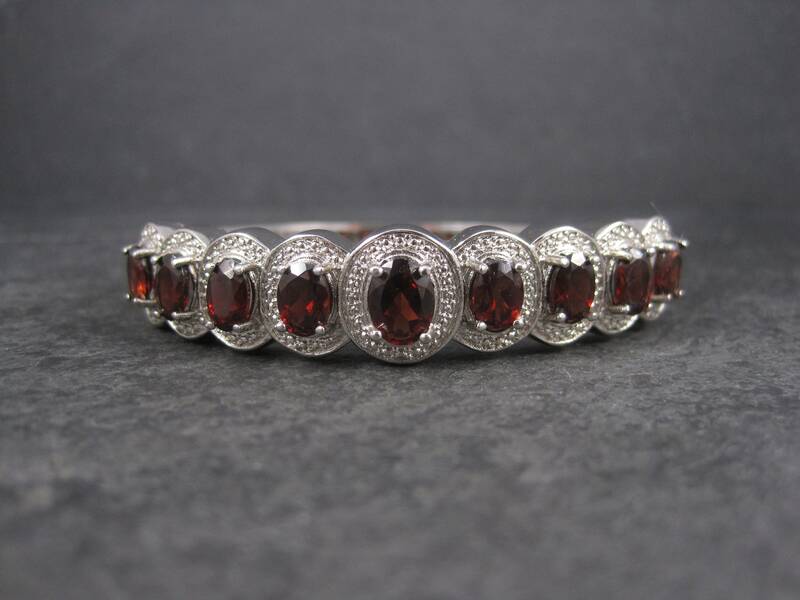 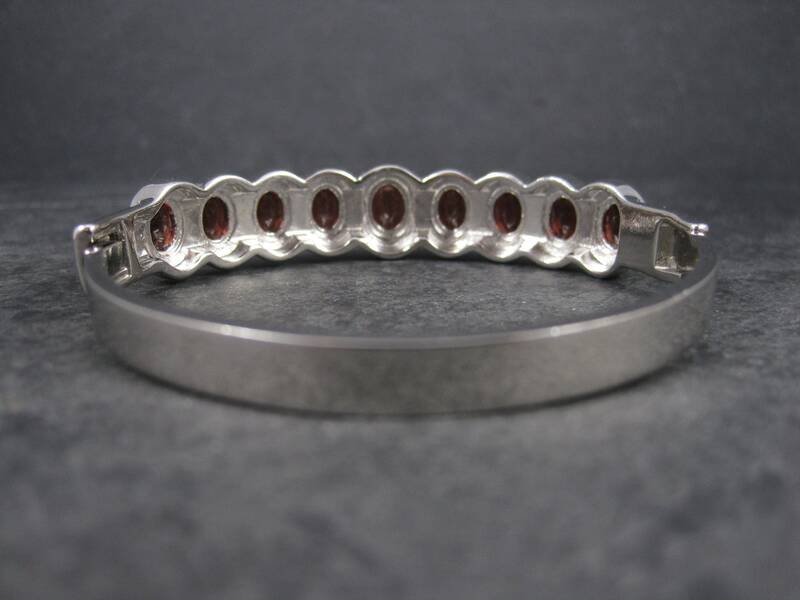 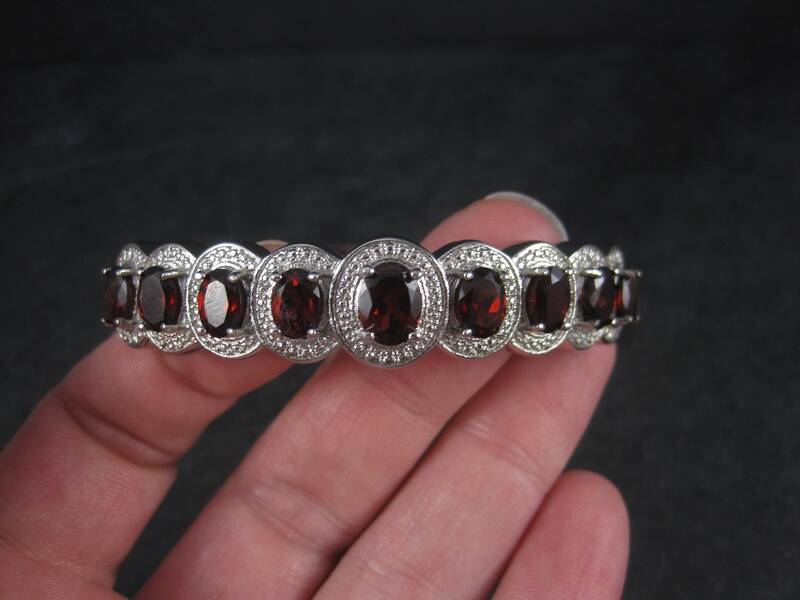 It features an estimated 5 carats in oval cut garnets. 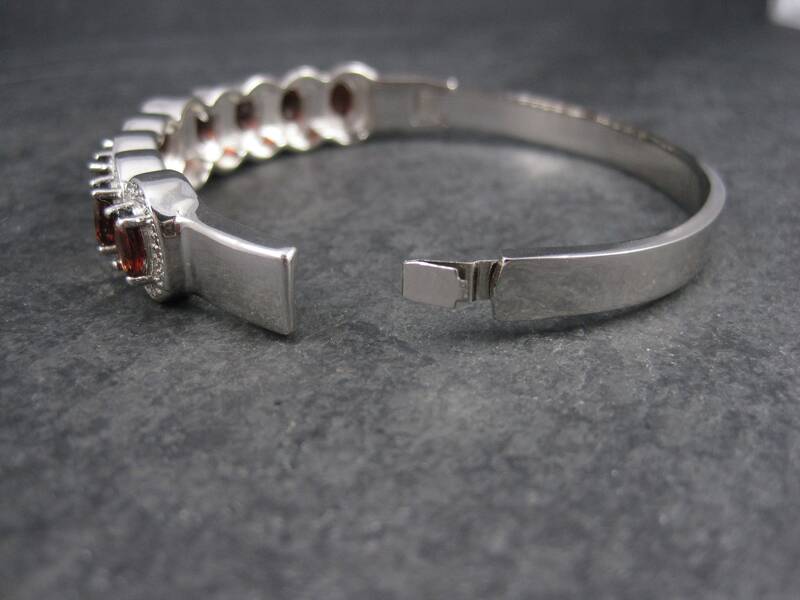 The face of this bracelet measures apx 1/2 of an inch wide. 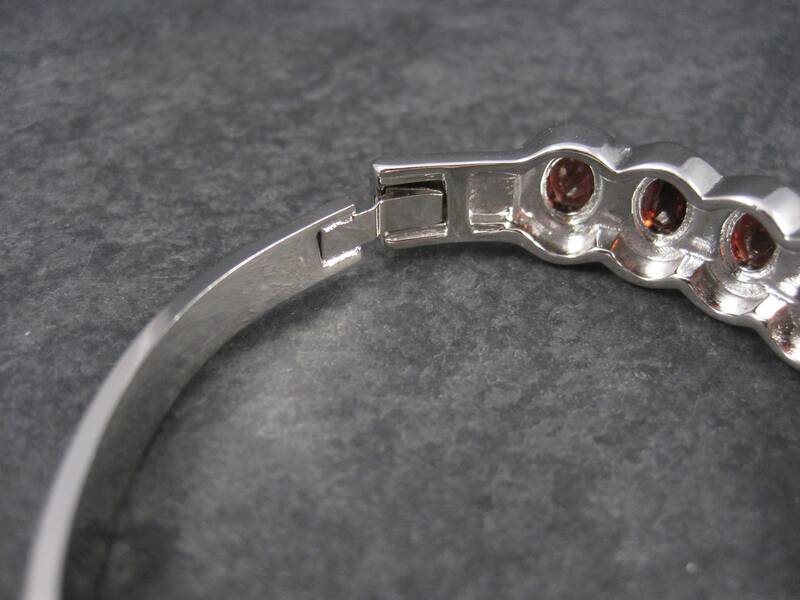 It has an inner circumference of 7 inches. 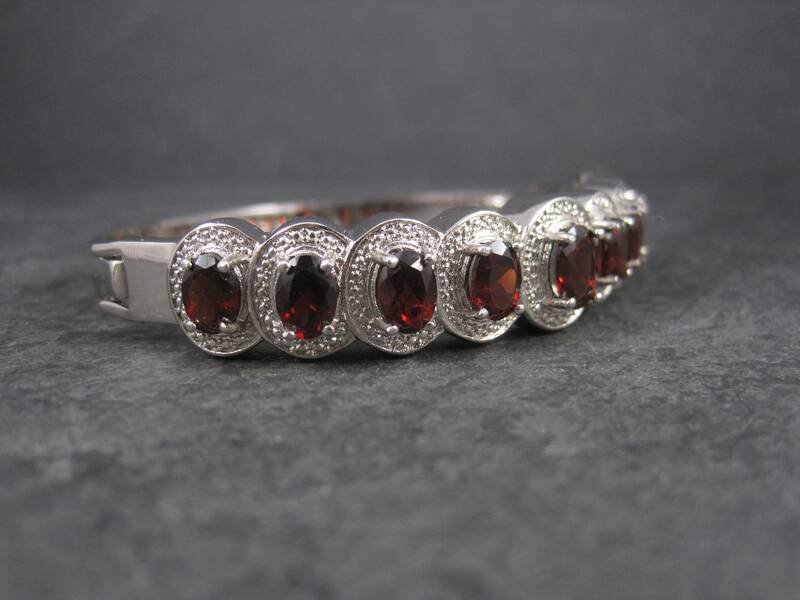 Condition: Excellent - One of the smaller garnets is not original but matches the others perfectly.